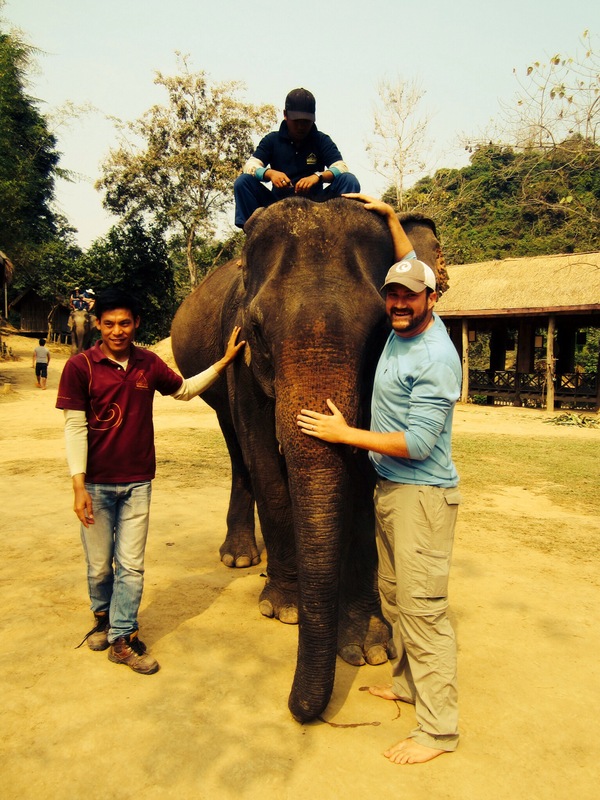 While in Luang Prabang, we scheduled some time on Valentine’s Day to help care for the elephants at the Elephant Village. 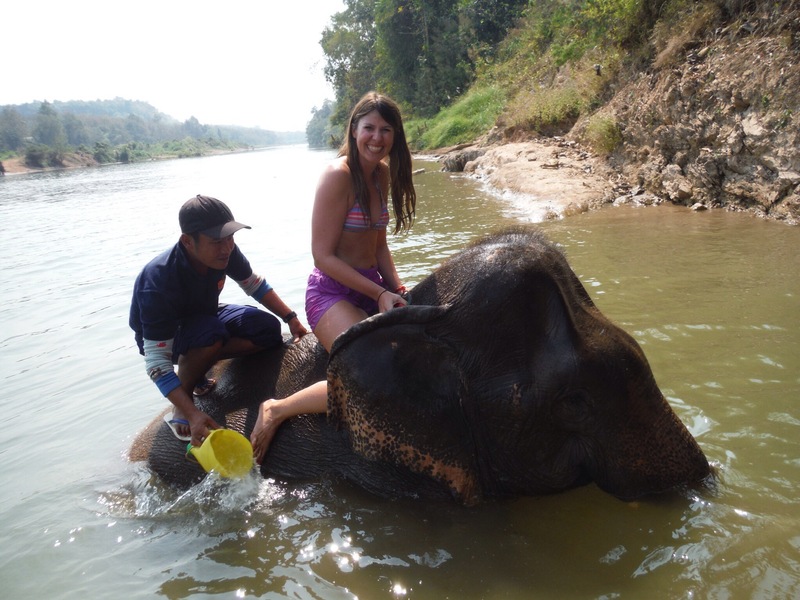 We booked the full day Mahout Experience where they teach you how to communicate with the elephants, you ride on their back and wash them in the river (ahh!). 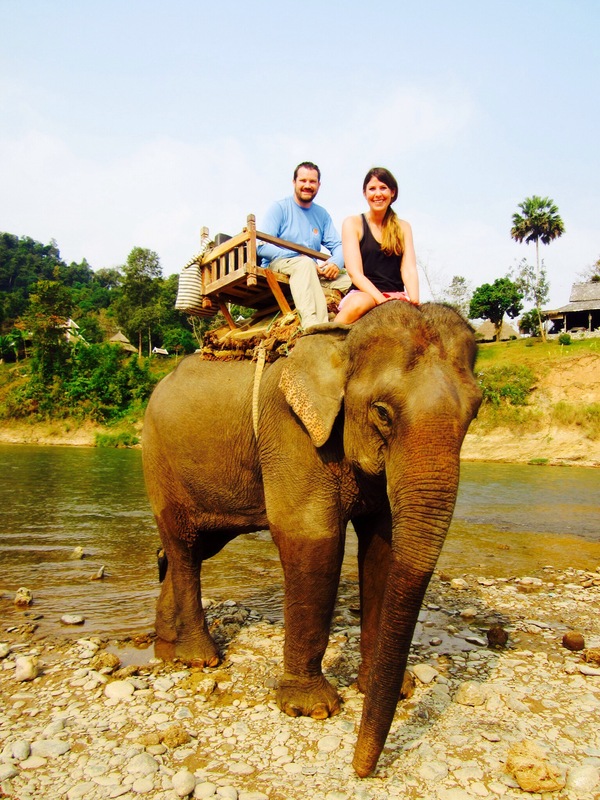 We were really looking forward to this day, it was one of the pricier things we booked on this trip at $84 USD a person but we were willing to splash out for lots of time with the elephants. 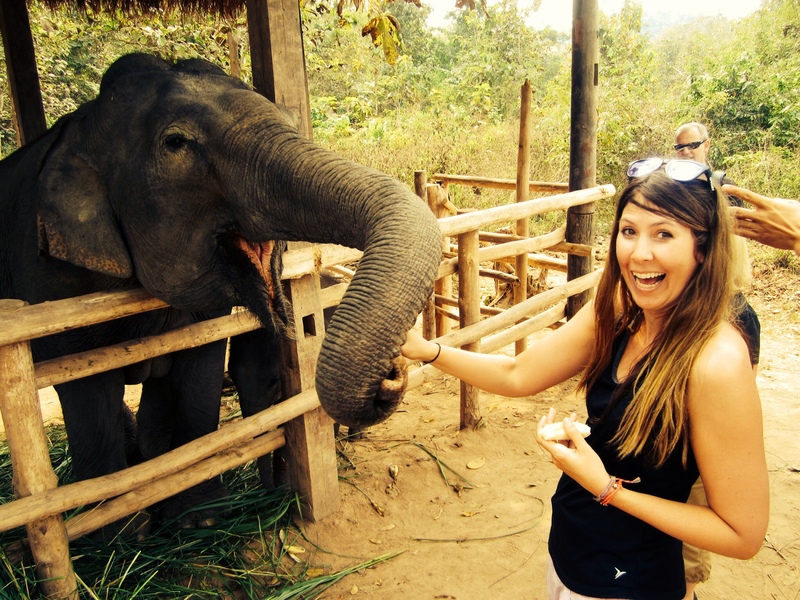 The Elephant Village is a sanctuary for elephants that have been rescued from the logging industry. 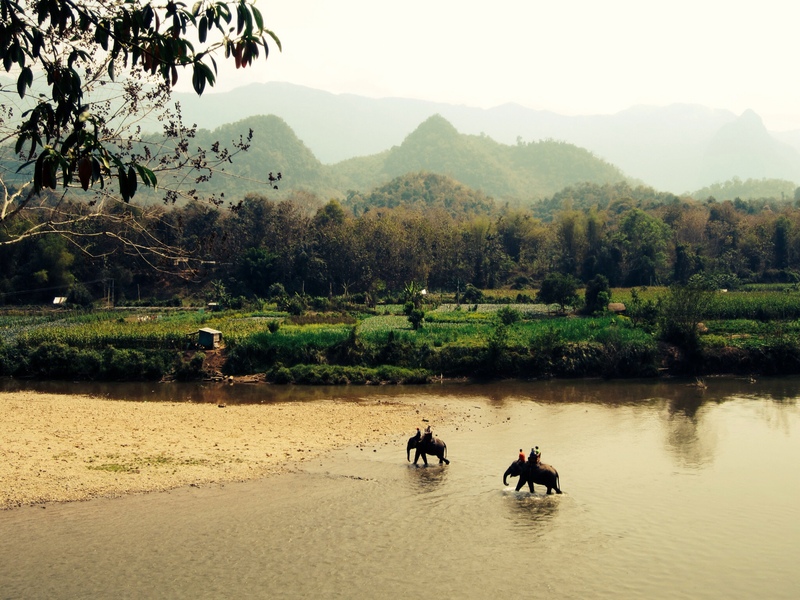 Elephants are in a tough spot in Laos. Using elephants for logging is still legal, even though it’s brutal work for the animals and they’re often abused and underfed. The trouble is, it’s very expensive to care for the elephants so they need to be able to generate income to pay for their upkeep. 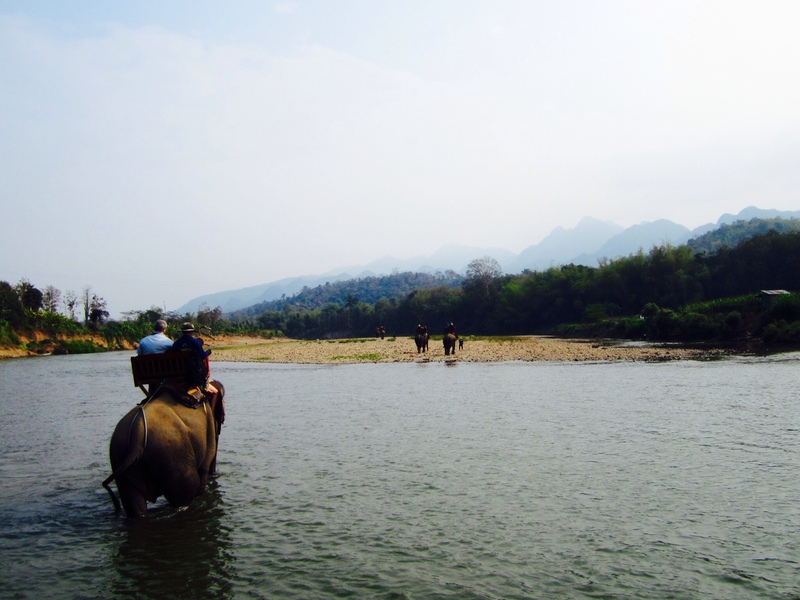 Tourism allows some of the elephants to make a living but sadly, the majority are still used for logging. So, that said, we were looking forward to spending the day with these special animals! 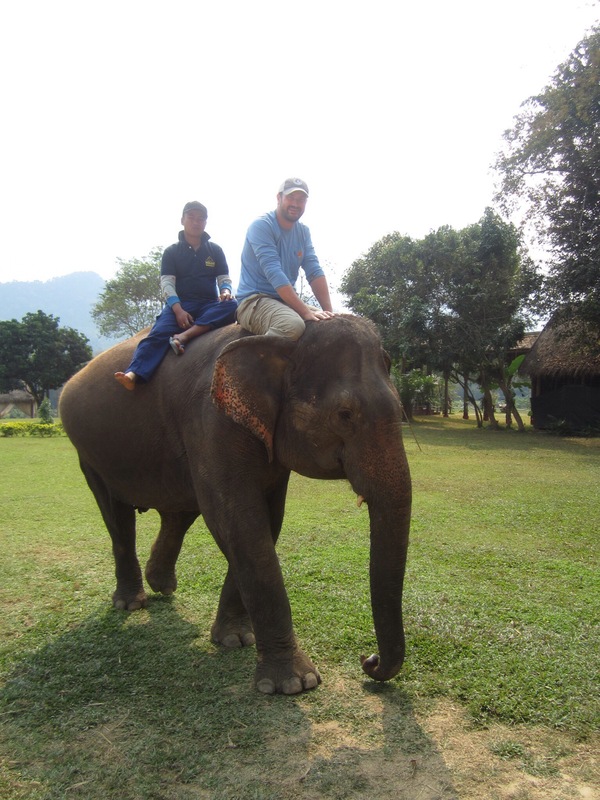 We started with an elephant ride with the mahout. 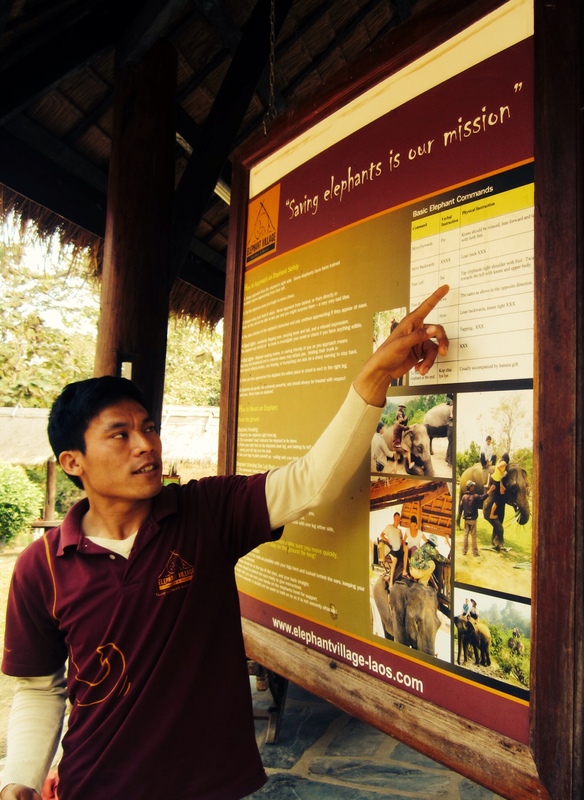 The mahouts are the elephant trainers and each mahout only works with one elephant for his whole career. The elephants came suited up with a bench on top for us to ride on but, I really wanted to sit where the mahouts do, on the elephant’s neck. When I asked if I could ride on the neck instead, I was a little surprised that he said yes! He jumped in the back and I went for the driver’s seat. It was AMAZING but a little scary/disconcerting as you are just holding on for dear life with your legs and it’s not the smoothest ride. And there is always the fear that you are riding an enormous wild animal and maybe it will just stampede and all that. Luckily, none of that happened and we made our way down to the river for a stroll. Mike got on the neck for some action as well! 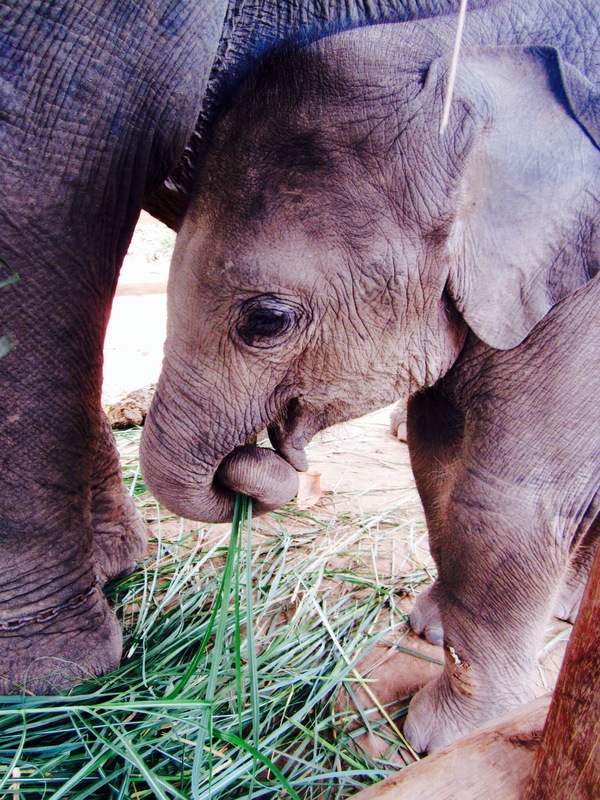 From there, we went to visit Maxi (Maximus Gigantus) the newest member of the Elephant Village family at 8 months old. He was really the cutest thing ever. We fed him and his mom bananas by hand, amazing. They are in their own little enclosure as Maxi is still too young to be part of the elephant crew. After meeting Maxi, we took a small detour up to the Tad Sae waterfall via boat. 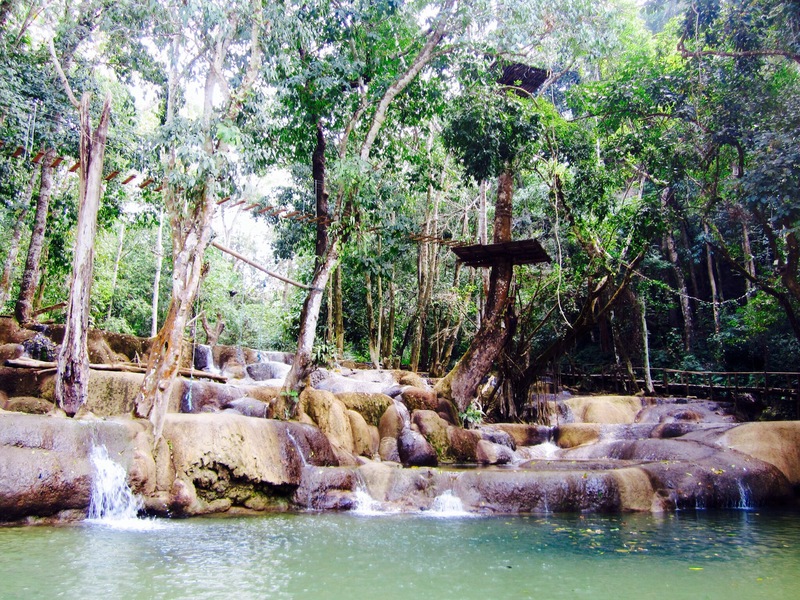 As it’s dry season, it wasn’t quite as dramatic as it could have been with more water but still, a pretty place. 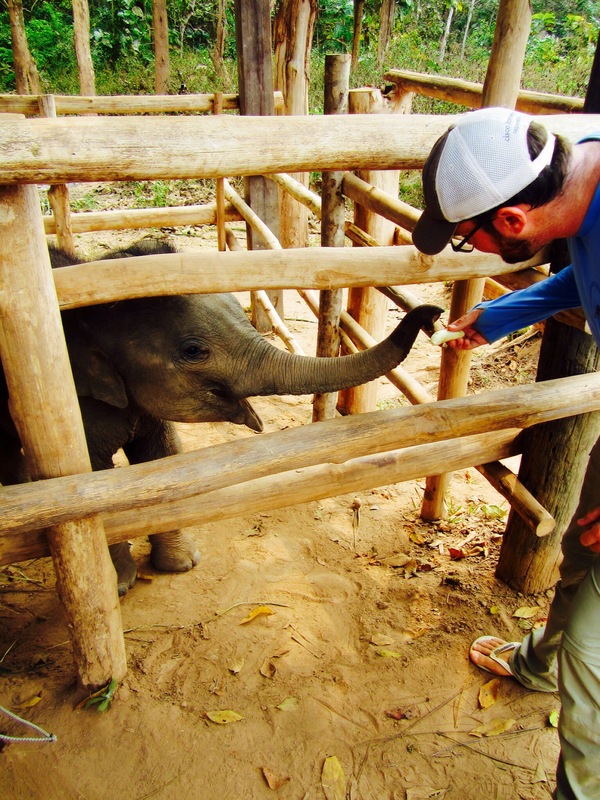 From there, we went back to the elephants to do a quick mahout learning session. 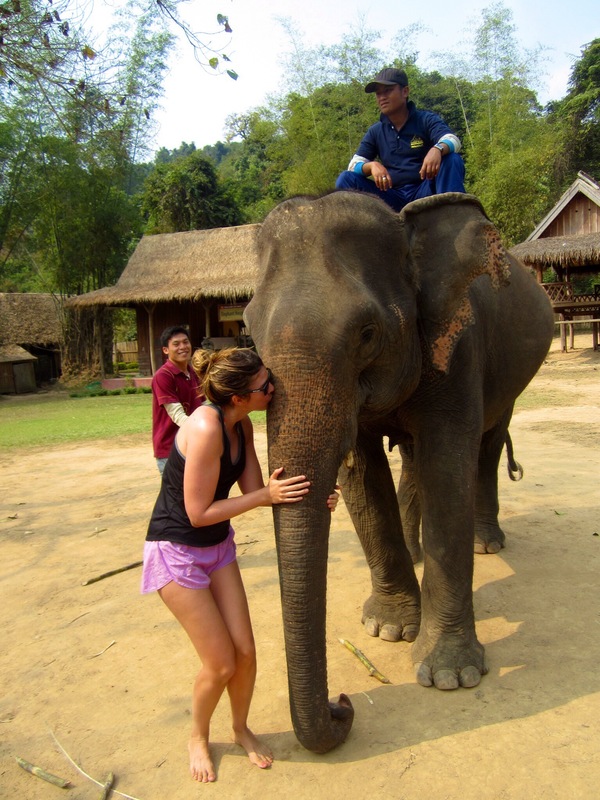 They taught us the commands for the elephants to go, stop, turn, etc, all in Lao. 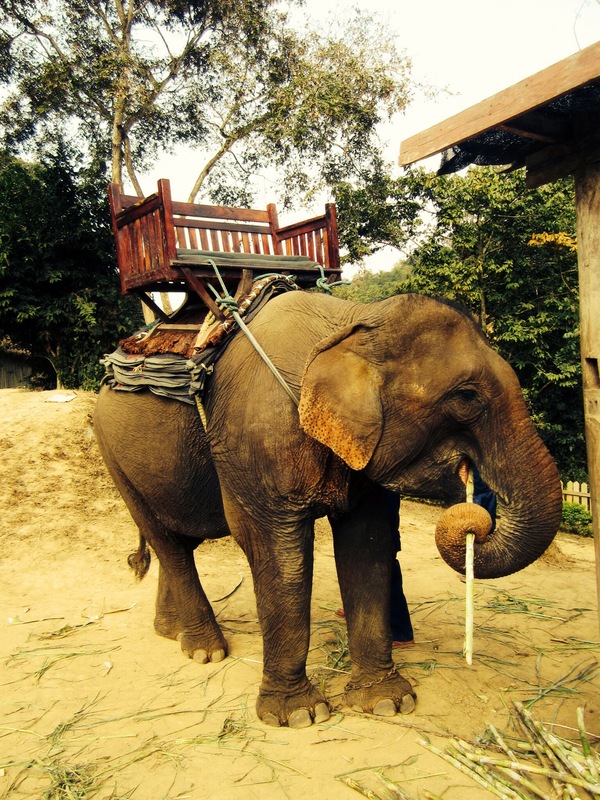 Then you get on the elephant and have a go. 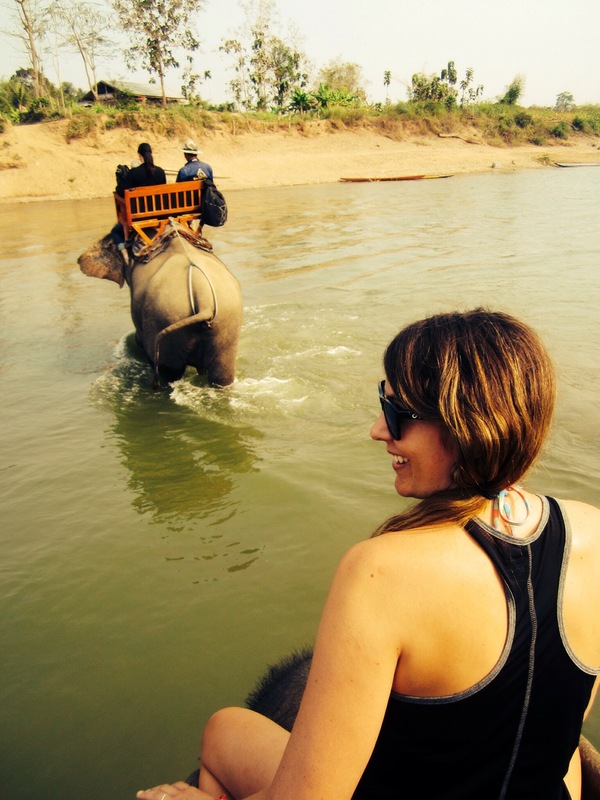 Really though, the mahout is on the back so you don’t have to do anything if you don’t feel up to it. 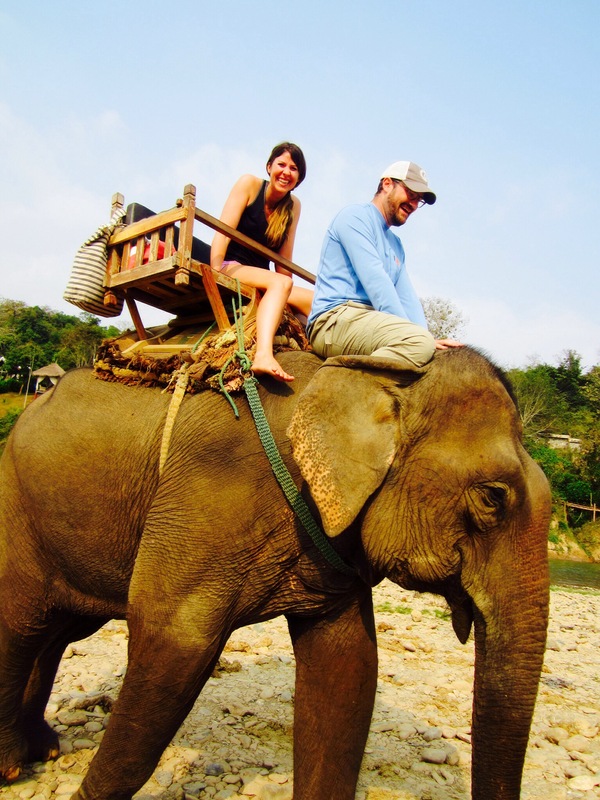 The hardest part was climbing on the elephant from the ground and dismounting afterwards! 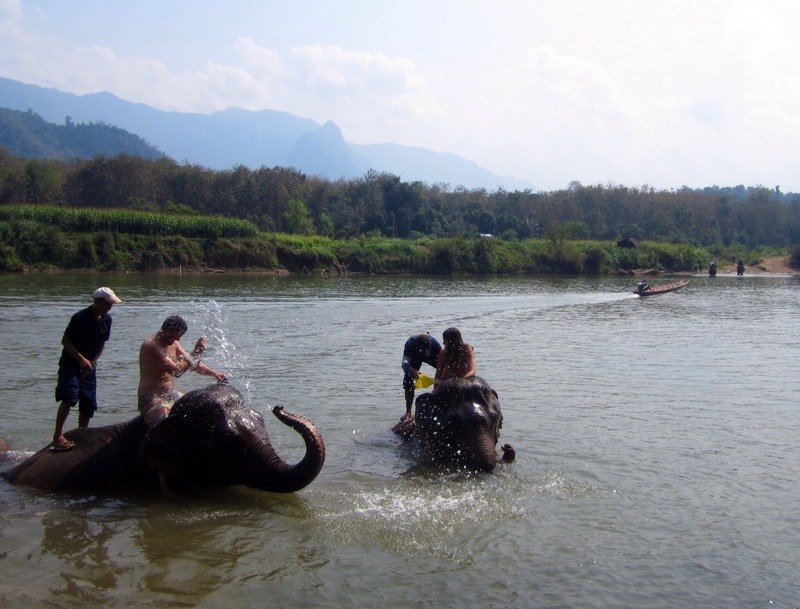 After a mediocre lunch, albeit with an amazing view, it was finally time to wash our elephants. We marched them down the water in our bathing suits and scrubbed them down. Mike’s kept squirting him in the face with water, it was hilarious. They were so playful and happy, it was amazing to be so close to these incredible animals. Mike told me he’s working hard to save up the $75,000 it costs to purchase an elephant for us. I can hardly wait. oh my god! i cant wait until you guys get an elephant! my favourite pictures so far for sure!! LOVE THEM!!! 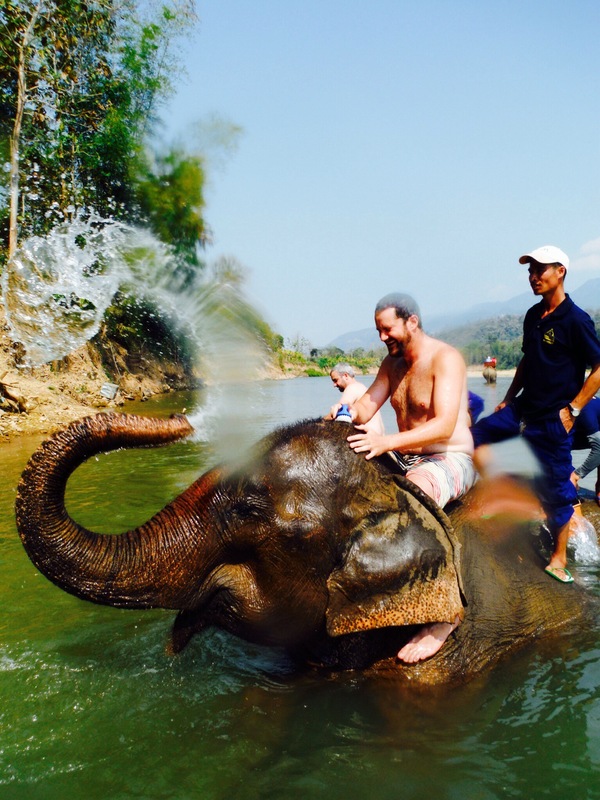 the water spraying action shot of the elephant getting michael is hilarious!!!! good work guys! !